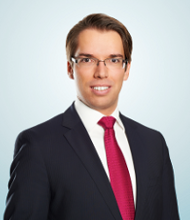 Caspar Behme, (Of Counsel), is an assistant professor and post-doctoral candidate at Munich University (Chair of Private Law, German, European and International Company Law, Prof. Dr. Horst Eidenmüller). He was certified as a business mediator at the Munich Center for Negotiation and Mediation (mediatorenausbildung.org) and operates both as a mediator and as a party representative in domestic and international mediation proceedings. Before beginning his academic career, he worked for one of Germany’s leading commercial law firms. He has authored numerous articles in law journals as well as commentaries on Private Law, German, European and International Corporate Law and Alternative Dispute Resolution. Wirtschaftswoche Online, Management-Blog, 7. Februar 2017. Claudia Tödtmann has published a guest-contribution written by our Of Counsel, Dr. Caspar Behme in the WiWo-Management Blog. The article concerns the TUI Case, which was recently decided by the European Court of Justice (ECJ). BRANDHOFF OBERMÜLLER PARTNER represents the claimant in these proceedings. The European Court of Justice deliberates the policy of German employee co-determination laws — BOP pleads for the inclusion of EU employees. January 2017 — The European Court of Justice (ECJ), under the chairmanship of ECJ President Justice Koen Lenaerts, now deliberates its position in the co-called “Tui Case” (Preliminary Ruling Procedure C-566/15). German employee co-determination rules [Areitnehmermitbestimmung] for company supervisory boards may violate European Union law in that they prohibit employees based in EU Member States other than Germany from voting in supervisory board elections as well as from running for these offices themselves. The German labor unions and their representatives are leading a media campaign against the claimants in this case even though the claimants are seeking to affect the Europeanization of the co-determination principle. Throughout the four-hour proceeding, the legal opinions the parties to the proceedings, Konrad Erzberger (petitioner) and the tourism company, TUI AG (defendant), were outlined along with the amici curiae of several interested groups including: the EFTA Surveillance Authority, German labor unions, and the governments of Germany, Austria, the Netherlands, France, and Luxemburg. Following this, the parties responded to questions posed by the fifteen judge panel (among whom sat ECJ President Koen Lenaerts, Vice-president Antonio Tizzano and the reporting judge, Egils Levits) as well as those posed by Advocate General Henrik Saugmandsgaard Øe. Dr. Caspar Behme (lead counsel), Dr. Jochen Brandhoff, and Stephan A. Richter of BRANDHOFF OBERMÜLLER PARTNER represent the petitioner, and maintain that the purpose of this petition is not to seek the abolishment of the German Co-determination Act [das deutsche Mitbestimmungsgesetz], but rather to strengthen it by broadening its democratic legitimacy, thereby improving the state of corporate governance in co-determined companies. Those who support or at least recognize the importance of co-determination, must in-turn wish for it function properly and for it to achieve the results it was intended to affect. The purpose for which employees are represented in supervisory boards is, first and foremost, to allow the board to tap into the knowledge and experience of the company’s employees and to use this perspective for the betterment of the company. When a company employs “foreign” workers (i.e. the employees of daughter companies and concerns based in other EU Member States), this purpose is fundamentally undermined if the right of co-determination is restricted only to those employees employed within Germany and the knowledge and experience of these foreign workers are not represented on the supervisory board. It follows, therefore, that whoever favors the principles espoused by employee co-determination must consequently also favor the integration of foreign employees into the board’s electoral process. This is all the more important for companies such as TUI which employ the considerable majority of its workers outside of Germany. The German labor union chiefs and their representatives are operating an emotionally charged media campaign against the petitioner, which expert observers have called unprecedented. The political pressure produced by this campaign is targeted at preserving for themselves the power and influence bound up in the duties of employee representatives in supervisory boards. They, however, have not brought forth any substantive arguments as to why representation of foreign employees should remain excluded. In their oral arguments, BRANDHOFF OBERMÜLLER PARTNER refuted the assertion that the implementation of supervisory board elections in daughter companies is legally impossible: the Europeanization of the co-determination principle is possible without a further showing, as can be clearly seen in the comparative law. Analogous situations in France, Denmark and Norway show that the incorporation of foreign workers in supervisory board elections is not only legally possible and advisable, but also practical in their implementation. In these countries, foreign employees are able to be represented by their supervisory boards without injuring the so-called “territoriality principle”. Based on the wording of the respondent’s filings, they also apparently take the position that the petitioner in reality wishes to weaken the co-determination principle. The underlying argument would be that the petitioner’s claim is directed towards the nullification of the German Co-determination Act. This is, however, an unconvincing argument because formal legal requirements determine the wording of such a petition. A petition, which is directly aimed at the inclusion of European employees in the election process, would be an inadmissible petition (Statusverfahren) according to §98 of the German Stock Corporation Act [Atkiengesetz]. The reasoning of BRANDHOFF OBERMÜLLER PARTNER in shared to some extent by the EFTA Surveillance Authority and the European Commission, but rejected to a greater or lesser extent by the Member States and Labor Unions. The majority of scientists and jurists who have expressed an opinion ahead of this decision took the side of the petitioner and spoke out in favor of the inclusion of EU employees in co-determination procedures. Contrary to the representations made by media outlets with ties to the labor unions, no substantial changes will occur near-term should the Court of Justice grant the petition and decide that the membership of company supervisory boards should no longer be determined in accordance with the provisions of the German Co-determination Act. Neither the election of the incumbent supervisory board members (even those who are employee representatives) nor the decisions of the supervisory board itself would be invalidated by such a decision. The tenure of incumbent supervisory board members would only end after the time period set out in § 98 Sec. 4 Sentence 2, and §97 Sec. 2 of the German Stock Corporation Act which requires a grace period of 6 months after the issuance of a decision by the Superior Court (that is: the Kammergericht), or in case of an appeal, 6 months after the decision of the German Supreme Court (Bundesgerichtshof). In addition, a finding of inapplicability of the German Co-determination Act will have limited applicability and apply only to TUI AG in the first instance. Such a decision would have no immediate effect whatsoever on other companies. Those supervisory boards remain organized just as before because, according to the explicit legal provisions of § 96 Sec. 2 of the German Stock Corporation Act, a change in status of a supervisory board may only be affected through a declaratory action (Statusverfahren). Only when this action is brought against a particular company and the inapplicability of the Co-determination Act is therein established, would the supervisory board of that company be required to reorganize in accordance with the decision made in that action. The groundwork for the preliminary ruling procedure was laid through an application to the ECJ by the Superior Court of Berlin (Kammergericht Berlin) in which the Court saw it as “conceivable” that “the German Co-determination Act could affect a discrimination against employees on the basis of nationality” (AZ. 14 W 89/15). In accordance with §98 of the German Stock Corporation Act, the Superior Court must decide in this declaratory action (in which BRANDHOFF OBERMÜLLER PARTNER represents the legal position of its client, the applicant, Konrad Erzberger) whether the supervisory board of TUI AG has been improperly constituted. At the center of both procedures lies the question: whether and to what extent the German co-determination rules, according to which only domestically active employees may be entitled to active or passive voting rights in the election of employee representatives to the supervisory board, run contrary to European anti-discrimination rules and the principle of the free movement of labor: Art. 45 Sec. 2 TFEU and Art. 18 TFEU, respectively. The opinion of the Advocate General is expected on May 4th. Dr. Caspar Behme (Of Counsel) and Dr. Jochen Brandhoff (Partner), BRANDHOFF OBERMÜLLER PARTNER Attorneys at Law mdB, Kaiserstrasse 53, 60329 Frankfurt a. M., +49 69 34 879 20-0, c.behme(@)bop.legal and j.brandhoff(@)bop.legal. BRANDHOFF OBERMÜLLER PARTNER Attorneys at Law is an internationally active corporate law firm from Frankfurt am Main which focuses on Mergers & Acquisitions (M&A), insolvencies, company restructuring, tax law, company law and renewable energy. Our corporate law practice regularly covers questions of corporate governance and corporate litigation. The law firm is characterized by its exceptional economic expertise. Before joining the firm, our attorneys worked as Counsels General and Department Heads at companies and banks. Caspar Behme: VW in Conflict with its Suppliers: Only Mediation can Reconcile these Adversaries. VW in Conflict with its Suppliers: Only Mediation can Reconcile these Adversaries. FOCUS-Online, 3. September 2016, category: finance/experts – Our “Of Counsel” and business mediator Dr. Caspar Behme published this article on the topic of VW supplier dispute in FOCUS-online. This article for the Oxford Business Law Blog was written in the context of a recent statement by the new British Prime Minister Theresa May, and explores the question of whether German-style corporate co-determination is an appropriate model for the United Kingdom after BREXIT. Find more information here. BRANDHOFF OBERMÜLLER PARTNER provides advice on the legal and tax-related effects of BREXIT on contracts and business models, as well as on all legal and tax-related questions concerning cross-border restructuring of companies and corporate groups. Frankfurt am Main, October 26, 2015. German employee participation on supervisory boards, as presently implemented, possibly violates European law and may no longer be applicable. According to codetermination law, only workers employed in Germany are represented on the supervisory boards of German corporations, workers employed abroad are, however, not represented. The Berlin Court of Appeals decision of October 16, 2015 (14 W 89/15) referred the question of if non-representation of workers employed abroad is compatible with the European principle of non-discrimination and free movement of workers within the European community to the European Court of Justice. If this is not the case, German codetermination is inapplicable and in turn only shareholders’ representatives may be appointed to supervisory boards. The referral to the European Court of Justice was made within the scope of a corporate law-related status proceeding involving TUI AG. The company employs approx. 10,000 workers in Germany and approx. 40,000 workers abroad. In the underlying status proceeding according to Section 98 German Stock Corporation Act, Brandhoff & Partner represents the legal interpretation of the petitioner Konrad Erzberger that the TUI AG supervisory board is not properly appointed. Instead of comprising the supervisory board equally of shareholders and workers’ representatives, the board should solely be comprised of shareholders’ representatives. The codetermination law may not be applied, because it stands in contradiction to EU-law (so-called primacy of European law). According to general practice, only workers employed in Germany possess active and passive voting rights and may participate in the election of workers’ representatives to the supervisory board; workers employed aboard (e.g. at foreign operations or subsidiaries) are excluded from such elections. The Court of Appeals followed Brandhoff & Partner’s argumentation and considers it possible that this practice violates European non-discrimination and free movement of workers laws. The referral to the European Court of Justice will remove uncertainty from this central corporate governance issue. Most recently, this issue has introduced substantial uncertainty to corporate law practices. While the Regional Court of Frankfurt a.M. recently passed down the decision on the Deutsche Börse AG supervisory board case, it found that foreign workers are to be counted in the computation of the codetermination intensity-related employee headcount. One thing is certain in the Brandhoff & Partner case, expansion of codetermination is not up for debate. Rather the issue is, if German codetermination regulations violate European law and in turn no longer apply, at least until such time as the legislature passes a revision that complies with European law. The Courts of Instance rulings and legal literature are not on the same page in this matter. This proceeding affects all corporations with supervisory boards that are composed equally of employee and shareholders’ representatives in accordance with the German Codetermination Act. Currently, this would affect 635 corporations. The expectation is, however, that the objections against the implementation of co-determination based on European law will also affect corporations whose supervisory board is comprised of one third employee representatives in accordance with the German One-Third Participation Act. This would affect roughly 1,500 additional corporations. Affected corporations should pay close attention to future developments in this matter and be mindful of the possible legal implications this may have on the composition of supervisory boards. +49 69 34 879 20-0, j.brandhoff(at)brandhoff.com und c.behme(at)brandhoff.com. Brandhoff & Partner is an international commercial law firm located in Frankfurt am Main. The firm’s main practice areas are mergers & acquisitions, corporate law, drafting of agreements, commercial law, banking and capital market law, as well as renewable energy. Our corporate law practice routinely addresses corporate governance and corporate litigation issues. Our clients include top companies from industry and commerce; we also represent banks and investors. In addition to top-tier legal counsel and tax advice, the firm is known for its exceptional business know-how. The firm’s attorneys worked as corporate lawyers, general counsels or managing directors for corporations or banks prior to joining Brandhoff & Partner. Brandhoff & Partner obtained a review of German corporate codetermination before the European Court of Justice. Brandhoff & Partner is featured in the business section of today’s Frankfurter Allgemeine Zeitung. The FAZ reports on the status proceedings according to Section 98 German Stock Corporation Act that Brandhoff & Partner brought before the Berlin Court of Appeals. This appears in a comment on P. 15 and a comprehensive article can be found on P. 17. The FAZ article can be accessed here.